INDIANAPOLIS, Sporting Alert – Denzel Valentine had 19 points, nine rebounds, eight assists and two blocks and No. 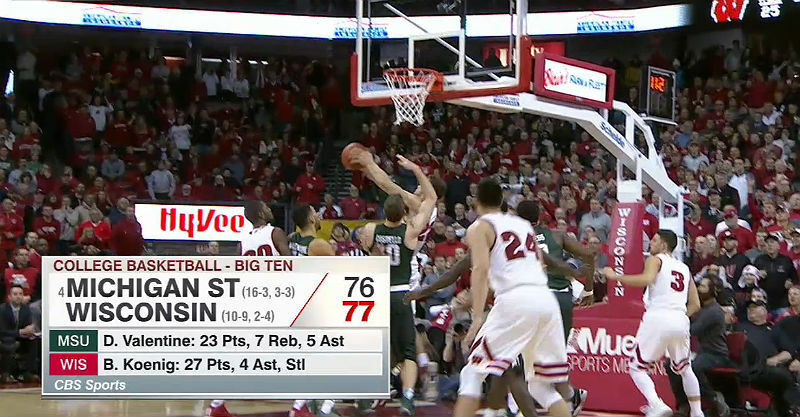 2 Michigan State cruised to an 81-54 victory over Ohio State in the Big Ten Tournament quarterfinals on Friday. 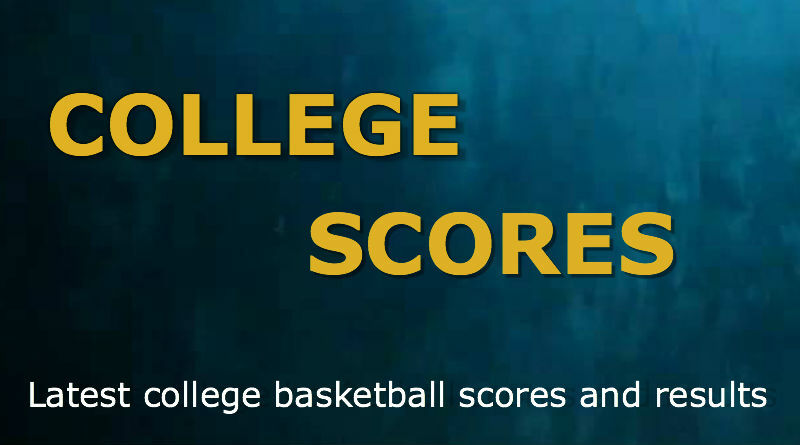 FORT LAUDERDALE, Sporting Alert – Scores and results from College Basketball Top 25 games that took place on Sunday, February 29. COLUMBUS, Ohio, Sporting Alert – Bryn Forbes shot lights out from long-range in the second half en route to scoring 27 points and No. 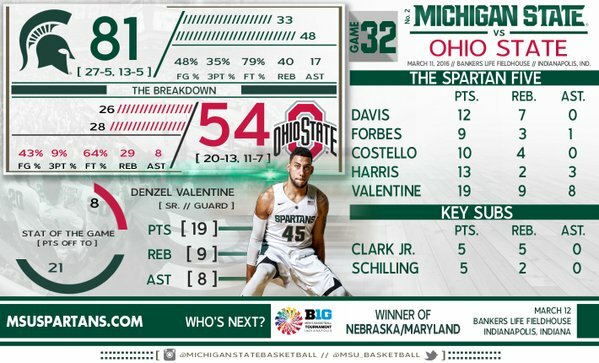 6 Michigan State beat Ohio State 81-62 in a college basketball game on Tuesday night. 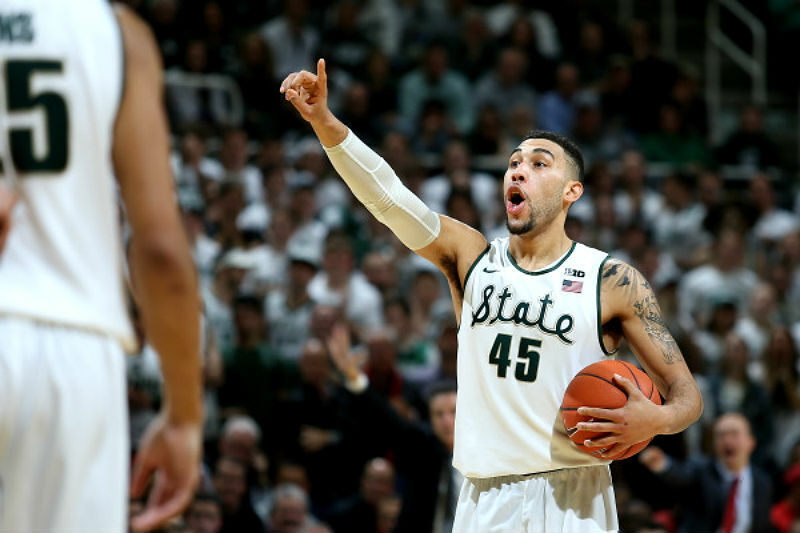 EAST LANSING, Mich., Sporting Alert – Denzel Valentine had 30 points and 13 assists, and No. 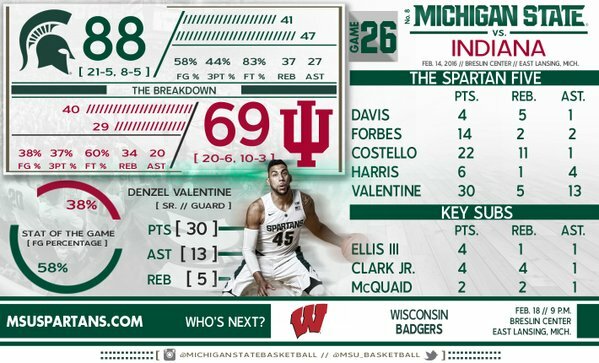 8 Michigan State eased to an 88-69 win over Indiana in college basketball action on Sunday. MADISON, Wis. Sporting Alert — Bronson Koenig scored 27 points and Nigel Hayes had 25 to help Wisconsin upset No. 4 Michigan State 77-76 in a college basketball game on Sunday. 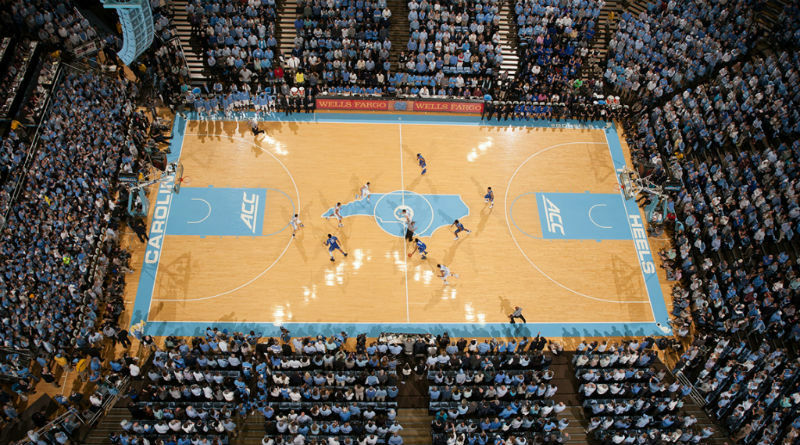 Sporting Alert – College Basketball Top 25 scores, including the Big Ten v ACC Challenge on Wednesday night, Dec. 2. Check out all the scores below.